The Black Excellence Band is a collective of independent artists, songwriters and musicians who often come together to perform as a group. 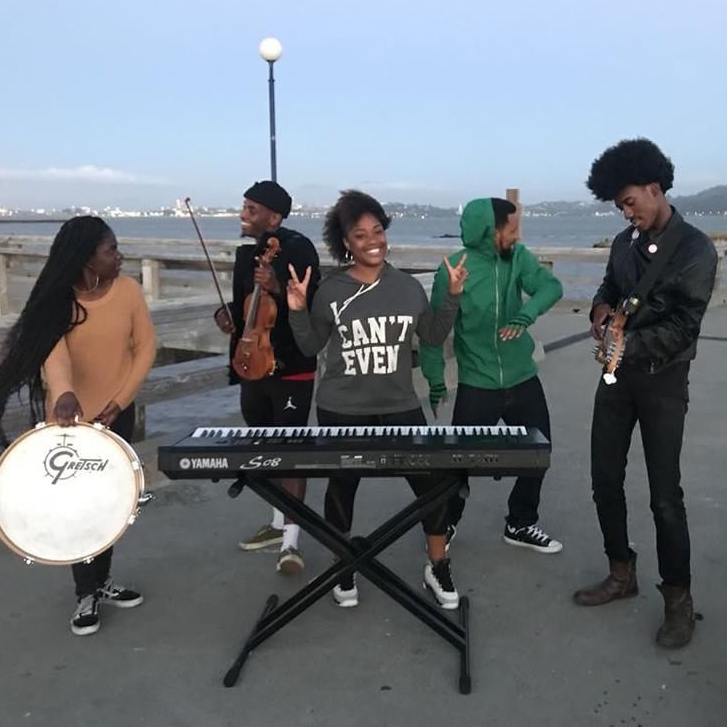 Based in Oakland, Ca the band has performed at events such as The Art and Soul Festival in Oakland, The Spirit & Soul Festival in Richmond, The Contra Costa County Fair in Antioch as well as a host of other local venues and festivals. The Black Excellence Band is currently on a 30 date tour and will be playing at the XO Music Festival July 15th alongside artists such as TI, Ludacris, The Sugar Hill Gang Fabolous, Bone Thugs N’ Harmony and more. To keep up with the Black Excellence Band follow them @theblackexcellenceband on instagram.